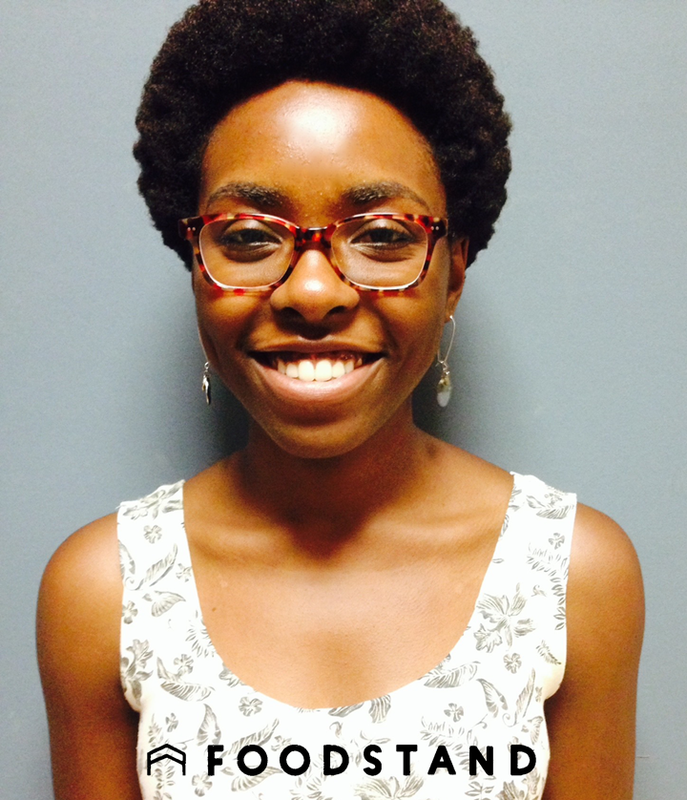 Noni (@darkchocolatepeanutbutter—yes, we love her handle too) is our resident nutrition expert! She’s a nutrition, food studies, and child psychology student at NYU, and a volunteer at Edible Schoolyard NYC. To top it off, she’s also a valuable member of the Foodstand team in her free time! And of course provides a daily dose of nutritious food for thought on the Foodstand app. I believe good food is any food that gives me pleasure. Whether it’s a fresh hot doughnut or a kale salad, I like food to be simple and delicious. I’m fascinated by the digestion process in the body and experiment with my own digestion. Currently I’m trying to incorporate more probiotics into my diet and since I don’t eat yogurt, I drink kombucha and eat miso and tempeh. I wish that good food were available to all of us no matter who we are. According to psychologist Abraham Maslow, when we are able to satisfy our physical hunger, we are able to use our energy to live amazing lives. My food resolution this year is to eat more vegetables at breakfast. I’m used to an American-type of breakfast that is usually sweet, however I’m now incorporating leafy greens into my smoothie, eggs and oatmeal. Vegan nacho cheese with blue corn chips. Food issues have not quite made it into the race for President. If you could ask the future President to consider a food issue that needs to be addressed, what would it be? I would love if the future President would address the Supplemental Nutrition Assistance Program (SNAP) since many Americans rely on this program to allow them to eat each day. It’s nearly impossible to survive on $4 a day and if people were given more to spend, it would make a significant difference in their well-being. Breakfast has always been important to me, and I remember my mother teaching me different meals I could fix for myself in the morning. She showed me how to make deviled eggs, toast with applesauce, and how to slice bananas on my Cheerios. Now breakfast is my favorite meal of the day! Whole Foods and Trader Joe’s. I agree with Michael Pollan, that we as a society need to get back into the kitchen. There’s something magical and exciting about creating nourishment for your body with only a few simple ingredients. Whenever I cook my food, I don’t feel stress or guilt. It’s hard not to feel stress or guilt when food isn’t made by you and becomes a mystery. Right now I’m working with a non-profit organization named Edible Schoolyard NYC in Gravesend, Brooklyn. I teach children how to measure, chop and identify new foods in their monthly recipes. This week I taught preschoolers how to make tomato sauce and I let them stir the pot. I was amazed at how good they were at chopping their vegetables! What/who is your food inspiration?